Here in Ontario (and I believe most of Canada), Monday was a holiday- Family Day! What better way to celebrate family than food! Many people asked what I have planned for the long weekend, my response, "Make something fried!" I have had a craving for something fried for some time (perhaps instinctually I felt the need to indulge, since it was the weekend before Carnival ;P), so a day off would be prime time to get my fry on! 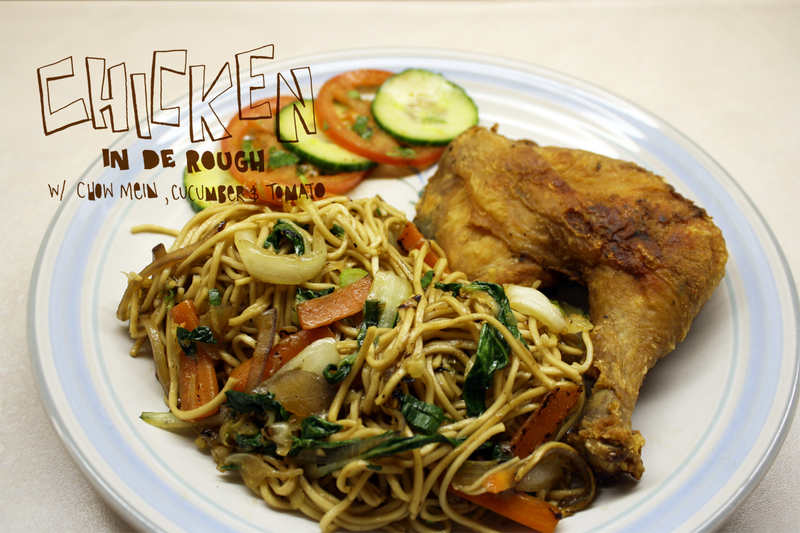 Family Day dinner was done West Indian style; chicken in de rough (a Guyanese version of fried chicken) with chow mein and some pickled veg. I have no idea how and why fried chicken with chow mein/fried rice became a staple in West Indian cuisine, I am just thankful it did :) Hope everyone had a lovely Fam Day!